Walking past our house you will notice our porch and walk-way are decorated with homemade easy Halloween crafts that we make as a family along with a few pre-made spooky signs that we pick up at second-hand shops or the Dollar store. We are huge into Halloween decorating as it’s fun for our son and we love to spruce up the front of the house for a bit of excitement, even if for a day. Typically we start decorating for Halloween after Thanksgiving Day because there’s something about the crisp breeze, rain and leaves falling that says, it’s time. Purchasing our Halloween decor was an all-year round adventure as is any other holiday as we tend to find the best deals off-season. Before our son came around we would decorate the house for Halloween but nothing like we do today and the kids love it. We don’t offer the scariest house on the street but certainly unique as it’s an art-fest from start to finish. This year we are making all of the crafts that I searched on Pinterest and shared with you below and will be hanging them all over the front of our property. Now that our son is in junior kindergarten he loves crafts more than ever and is always asking to paint or use scissors. One of our observations as parents over the years was that our son would often talk about his crafts that we would hang in the hallway and throughout the kitchen. They had meaning to him especially since he created them himself. This was the premise behind having him work on some easy Halloween crafts that he could be proud of hanging outside. We did purchase some pre-made fabric ghosts at the Dollar store however we plan to make some window ghosts from craft paper and cotton balls with our little guy. The fabric ghosts will be hanging from our front tree as they light up. Our front porch is quite large so we can hang all sorts from the ceiling and plan for a spooky scene for the kids with lots of spiders and spider webs made from stretched cotton. The two giant planters that sit on the porch have spooky Halloween stands one of a mummy and the other of a ghost that says Happy Halloween! The tea-table and chairs have black fabric over the chairs and we will cut out white felt eyes and a nose and glue or tape them to the fabric to make them spooky. Some people make ghosts this way using a white bed sheet and hangers which is another option if you are looking to create a spooky scene on your property. Two years ago now at Shoppers Drug Mart we picked up an electricity box that makes all kinds of sounds and scares even the parents, haha!! I hide that in the bush but when it lights up and makes noise there is NO missing it. It’s fun to sit in the kitchen and watch everyone jump a bit when they walk up the path. You might also find plenty of grave stones and body parts strewn around the property hiding under bushes with lots of blood on them. Creating memories for the kids in the neighbourhood means we take a bit of time to bring our property to life. We don’t go overboard but we like to keep it as frugal as possible. This weekend we are going to the park to fill two large bags that are shaped and coloured like pumpkins and ghosts to place on the front lawn. I’m hoping they don’t get kicked around but the kids are pretty good around here and we’ve never had any issues with our Halloween decor. Easy Halloween crafts use materials that you typically have around the house such as toilet paper rolls, egg cartons, coffee filters, cotton swabs and cotton balls. Any craft supplies such as glue, craft paper, paint, paint brushes, felt, markers, crayons, googly eyes and pipe cleaners you can find at the Dollar Store where you can stretch your dollars to fit your monthly budget allowance. If you have any photos of easy Halloween crafts you’ve made with the kids I’d love to see them. Share the photos on my Facebook page!! 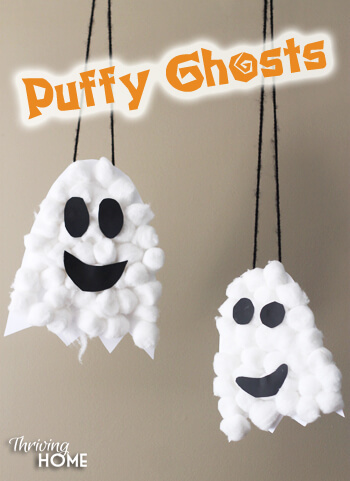 Ah, these Halloween Puffy Ghosts are perfect and exactly what we were looking for because we wanted to decorate the front porch with hanging ghosts. We did buy a couple of pre-made fabric ghosts to hang on our front tree that light up but we wanted a craft for our son to do. Simply use cotton balls to create a ghost. 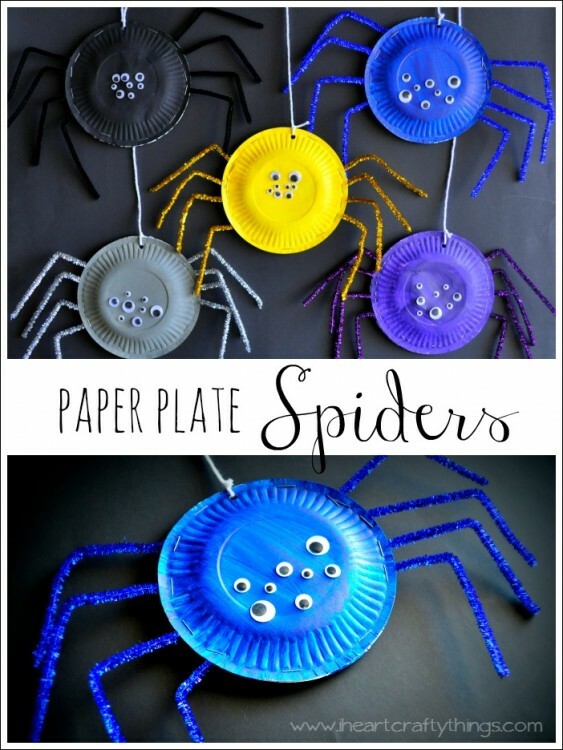 We have made the Halloween paper plate spiders the past two years as they are easy Halloween crafts that almost all kids would love to especially those new to arts and crafts. Our spiders were not painted rather we used markers but you can decorate them any way you like. If you go to the Dollar store you can find Halloween Pipe Cleaners with Googly Eyes down the Halloween aisle. 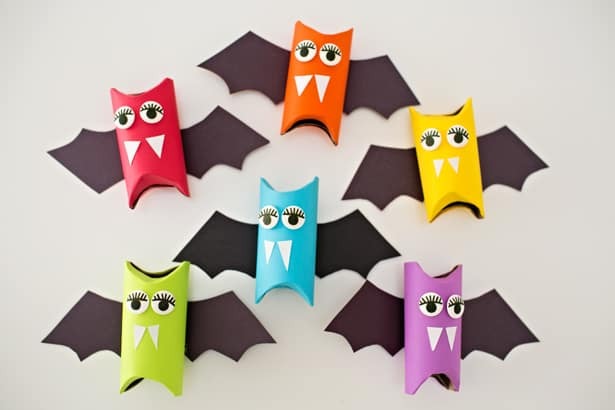 How cute are these Rainbow Tube Bats for Halloween Decor? We always have toilet paper rolls hanging around for craft projects and I never would have thought to make bats. I think this will most certainly be on the craft to-do list this week. I clean my ears out with Q-tips and others are making Halloween crafts with them. I can’t get over how crafty some parents and teachers are and the more I search on Pinterest for Halloween craft ideas the more I wonder why I didn’t think of it first. 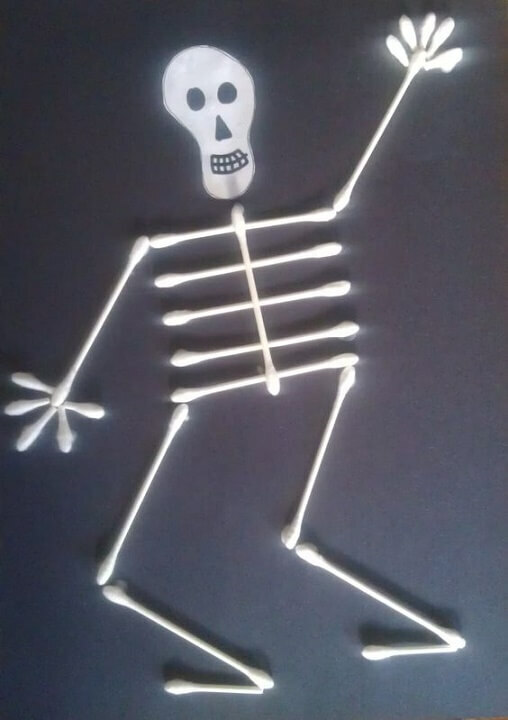 Have a look at this simple to make Q-Tip Skeleton Halloween Craft. It really does look like a skeleton and for pennies you can make it at home with your child. 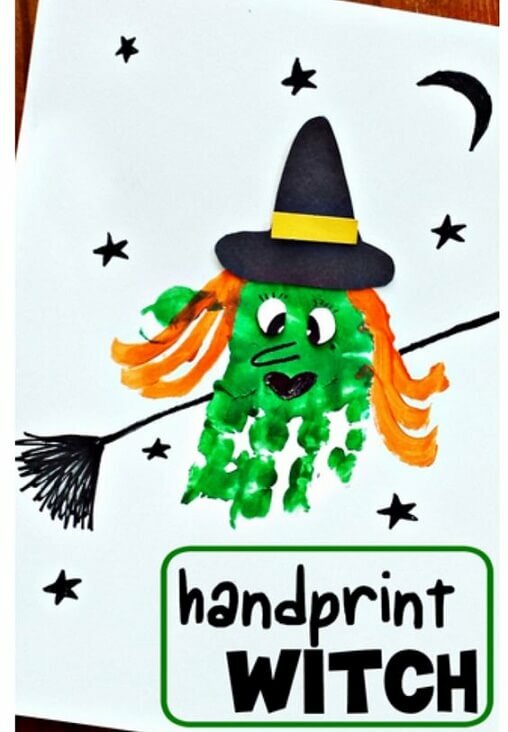 Michelle over at Crafty Morning created this cute Handprint Witch Craft for kids to make for Halloween. Not all kids like to use craft paper so using paint and stickers might be a better option. Our son LOVES putting paint on his hands and feet so this is one of those easy Halloween Crafts to add to your list. 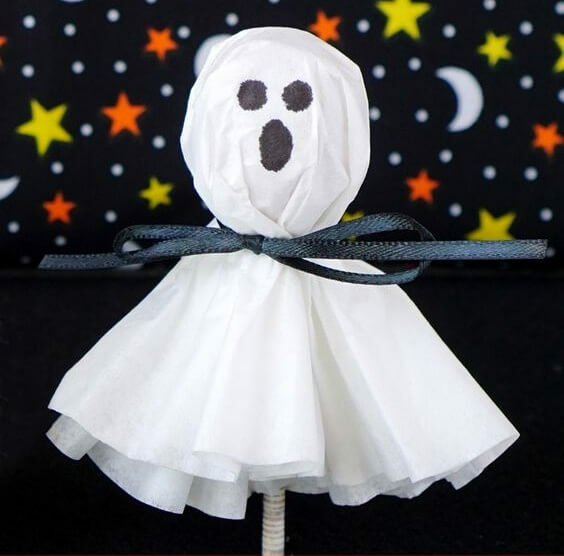 Coffee Filter Ghost Lollipops are great to hand out to the kids for Halloween, Halloween parties or to decorate with. Sometimes it’s nice to do something different when handing stuff out to the kids. You don’t have to go buy an expensive box of chocolates if you can’t afford them. Take Halloween to a fun level without the extra costs. We made these with tissue paper two years ago and hung them from our hallway light with yarn along with the paper plate spiders. The kids thought they were awesome when they came to the door. I did however notice that this blogger used the Tootsie Roll Lollipops which I think is a brilliant idea. You can use the cheaper one’s like we did but the Tootsie Roll Lollipops make a far better ghost head. 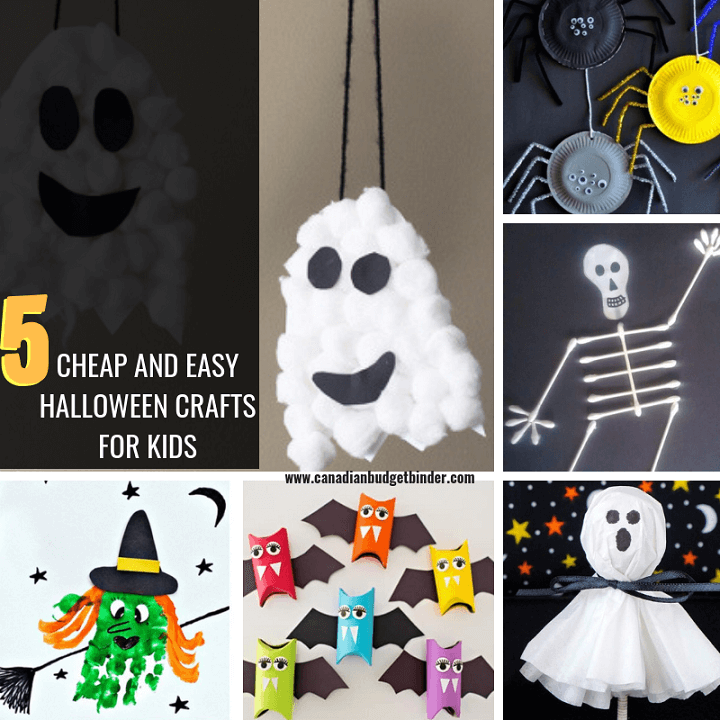 I hope you try some of these easy Halloween crafts at home with your kids and keep in mind that not everything has to be bought. Take the time to create those lasting memories with your kids as they will always remember them and perhaps pass it on to their kids. We finally finished soccer this week which is probably best since our son has had good days and bad since starting school mainly with being tired or over-stimulated. Since he never did go to daycare up until the end for one day a week going to school has been overwhelming for him. Looking back we might have started daycare a bit earlier but even then we don’t know if that would have solved some of the issues we are dealing with today. As promised we ventured to the pumpkin patch last weekend to pick out our pumpkins for carving this weekend. Our son loves getting his hands all messy and Mrs. CBB loves to roast pumpkin seeds so it’s a win-win. We picked up some pumpkin stencils in the cheap bags from Value Village a month back so we will use them this year to see what we can create. Mrs. CBB bought a pumpkin pie pumpkin for $0.99 from Zehrs so that will be her pumpkin mush for the year so she can make her recipes. Mind you the keto pumpkin cheesecake bars were pretty spooktacular if I must say so myself. Last night we made a mad dash to Value Village once again and bought our son his costume. He picked it out however I’m curious to see if he will actually go around this year. Last year he had no interest at all so we came back home and he helped to hand out candy. He’s not a candy kid but he does like his chocolate. Lastly, I’m still getting the Fall clean-up done around the house. I have a week off coming up so I’ll be sorting out a few bits that have been put on the back-burner with our vehicle and tidying up for winter. All I have left to do is cover the back table, roll up the deck carpet to store and cover our son’s toy structure. I will also be working on preparing the hostas for winter as you will read below. Lots of work to get done this week along with the dentist and doctor. It’s amazing how much you can pack in on a week off when you should be enjoying a holiday. Ah well, that’s life. Oh, I forgot to tell you I’m working on a secret restoration project in the garage that only cost me $10. Can’t wait until it’s done. That’s all for this week folks, Have a happy and safe Halloween!! See you back in 2 weeks for the next edition of The Saturday Weekend Review! New Blog design on the horizon. I will let everyone know as I may need you to re-subscribe to CBB again. Stay tuned for a blog post specifically on this topic. 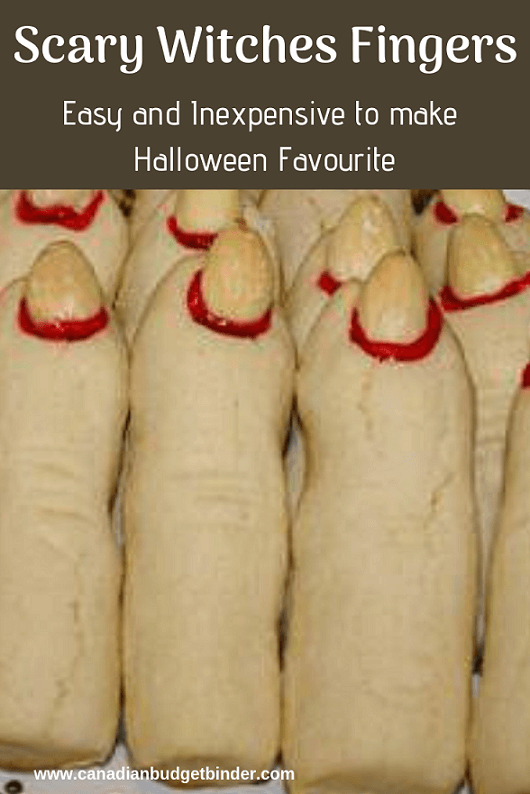 This weekend I wanted to showcase these must-make Halloween Witches Fingers that we prepare every year. They are simple, inexpensive cookies that everyone loves. The buttery texture is like a shortbread and almond flavour lingers from the extract that is used in the recipe although you can swap that out with whatever you like or leave it out altogether. Bring these to your work function, bake sale or make for friends and family to snack on!! We buy our almonds at The Bulk Barn as you won’t need many so it’s the perfect shop to pick up a few dozen. Fall is a time when yard clean-up becomes a big job whether you have a small property or not especially if you have plants like we do. 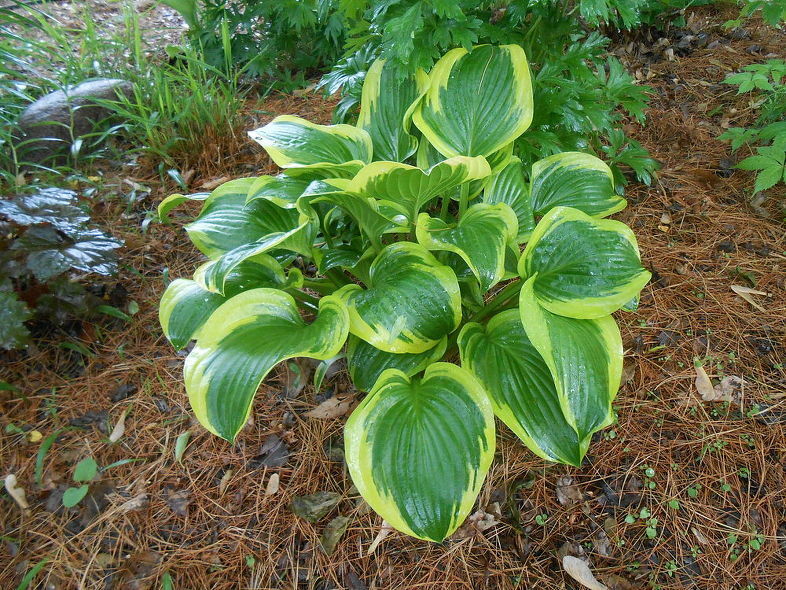 One of the problems we have is that pests tend to eat the foliage of our hostas later in the season. Not all gardeners clean up their Hosta in the fall-some leave the foliage to decompose over the winter. I do not. I prefer to remove the debris and as I said-I really think it does help to reduce the issues that occur with Hosta. If you have pest and disease issues with your Hosta give this a try and maybe next spring you won’t have an issue with slugs or with nematodes. You might be surprised at much it helps. Our back garden is loaded with gorgeous hostas which need to be tended to each Fall. I found this brilliant Fall Cleanup of Hostas blog post that shares a step-by-step guide on how to prepare your Hosta for the Winter so they come back bigger and just as beautiful the next season. Just remember ANYONE could fall on hard times, have a rough patch or make the wrong decisions in life. Sometimes all someone needs is a friend, guidance, conversation, warm blanket or something to eat or drink. 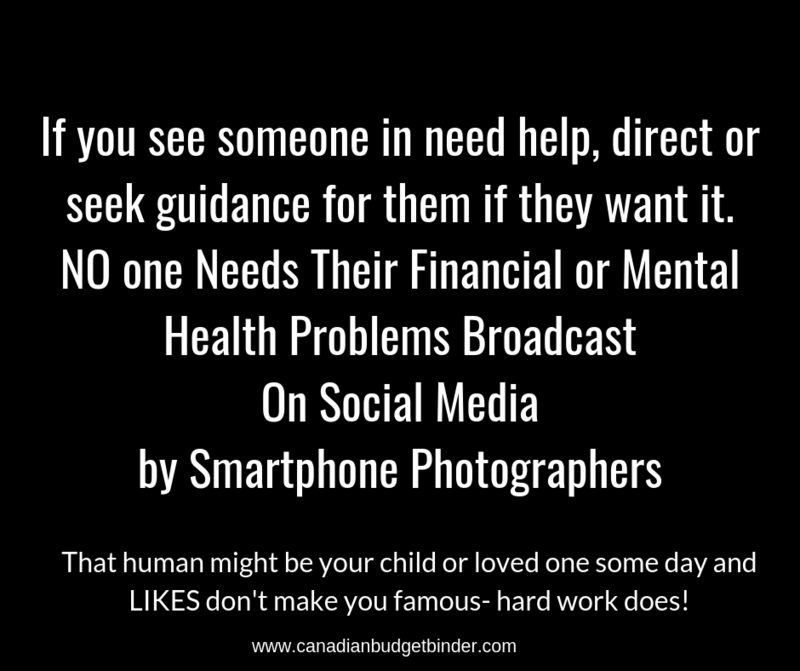 You won’t solve their problems but you most certainly might make someone feel like there are people who do care out there. What size mug to use when making Keto biscuits– Any standard mug will do. The texture and appearance of hot taco dip– Chunky, smooth and most often red looking. Husband spends too much money– Tis the week for husbands as I’ve had a few searches where it is typically wives who are spending all the money. Stealing money from relatives– That’s not a smart idea-EVER.